After months of beta testing, Microsoft has finally released Internet Explorer 9 today. Internet Explorer 9 is a huge achievement for Microsoft as it represents Microsoft's intention to provide timely updates and fast development of its browser while supporting the latest web standards. Internet Explorer 9 represents a very big leap from the earlier releases in terms of both support for web standards and the user interface. It also supports HTML5, hardware acceleration and a number of impressive security features. Like Firefox, IE9 also supports the "Do Not Track Me" feature. 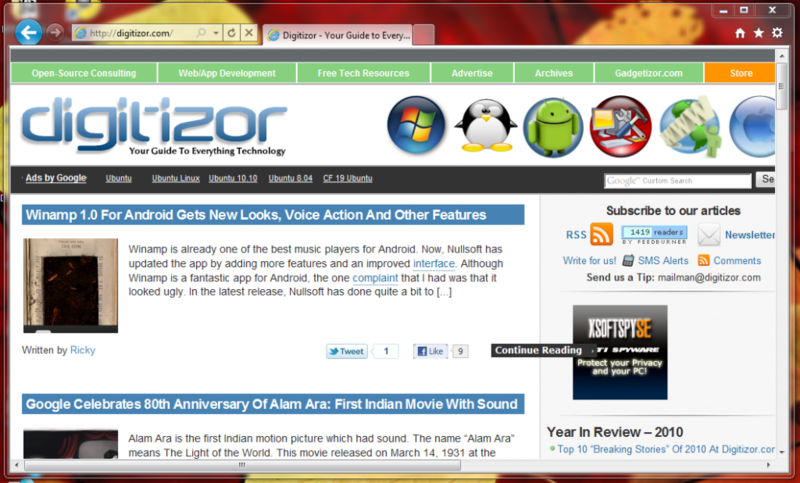 Internet Explorer 9 also allows users to pin websites to the taskbar like any normal application.